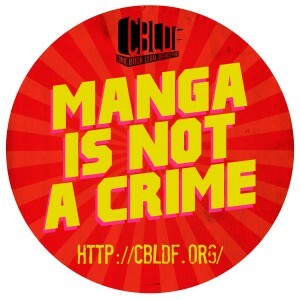 Win awards for your anime, manga, or Japanese-culture-related blog and website! For blogs with a decent layout and outstanding content, please apply for the Great Blog Award. You can nominate someone or you can nominate yourself (it’s just between us!). Since this is a small award, you can also request for it to be a banner, too. Of course, if you have a great website or you prefer a different color or size, feel free to let me know! It only takes a few minutes for me to change this, so don’t worry! Size: 190 x 200 pixels. 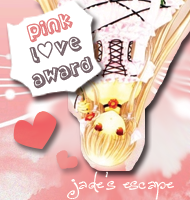 For blogs with a feminine or pink layout and outstanding content, please apply for the Pink Love Award. You can nominate someone or you can nominate yourself (it’s just between us!). If you have a masculine website or blog, don’t feel intimidated by the pink! I can also change the title of the award based on your blog and website. Of course, if you have a great website or you prefer a different color or size, feel free to let me know! It only takes a few minutes for me to change this! Before you apply, please link with Jade’s Escape (https://jadesescape.wordpress.com) somewhere on your blog or website. OK, now you can apply!